Stargazing. 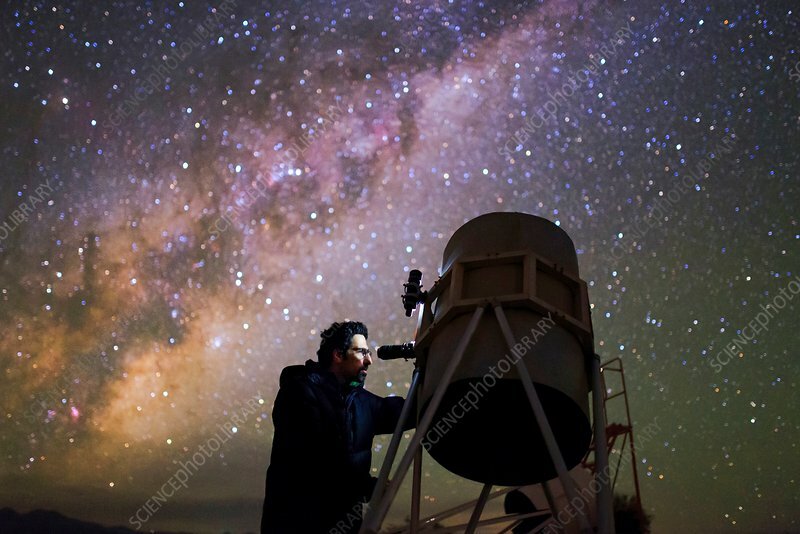 Man observing the night sky through a large Newtonian (Dobsonian) telescope. The Newtonian telescope is a type of reflecting telescope invented by the British scientist Sir Isaac Newton (1642-1727). Photographed in San Pedro de Atacama, Atacama Desert, Chile.